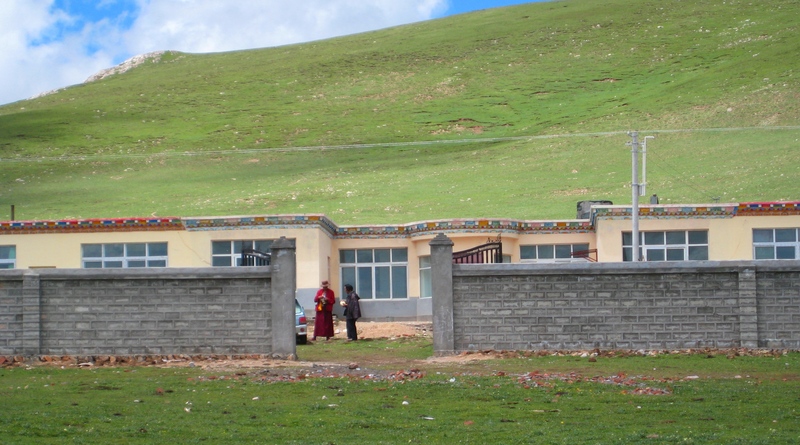 Since 2004 the Amitabha Foundation has been supporting health and eduction in Rima, the area around Ayang Rinpoche’s monastery in Eastern Tibet. Here is the news from our visit in 2015. 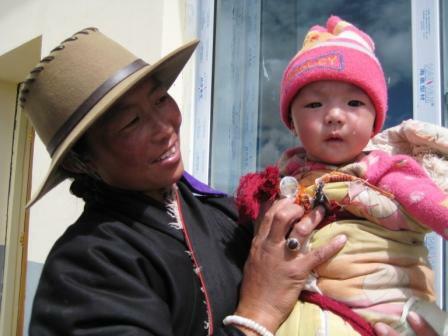 We first came here at the request of Ayang Rinpoche and the nomad leaders to try to reduce maternal mortality. Since then, we have sponsored construction of a small clinic and training for traditional Tibetan doctors, provided medicines, supplies and equipment for the clinic, and have brought clean birthing kits to the area. Here are some more pictures and our 10-Year Progress and Trip Report from 2013. Until 2011 we sponsored 133 children age 7 to 17 at the Rima Boarding School. They learned Mandarin, Tibetan, math, and Tibetan dancing and singing. Our sponsorship provides uniforms, shoes, bilingual books, desks, supplies and food for the students. We also contribute towards the salaries of part-time teachers and cooks. 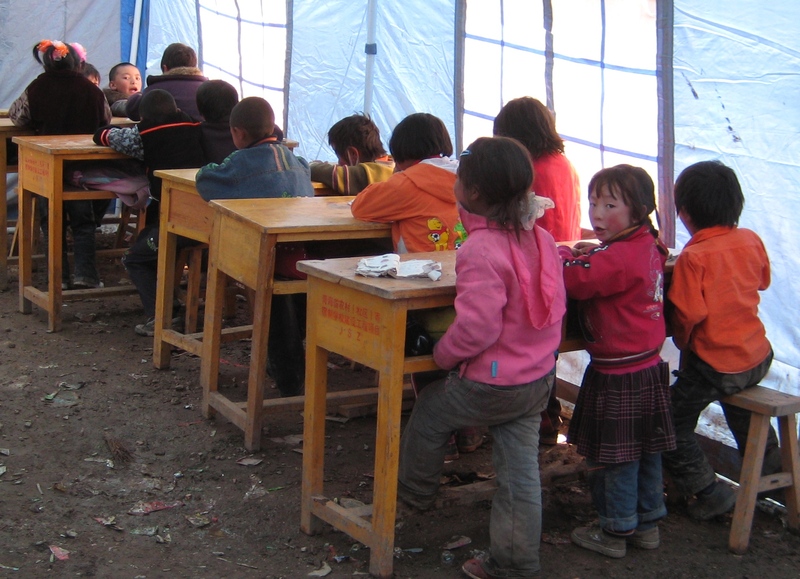 In 2010, because of damage from the April 14 Yushu earthquakes, we brought tents and some emergency supplies for the school. Some of the older children took pictures and created a book for the school sponsors. Here are more pictures of the school, including the dance performance we saw in 2009. The government has now moved the children to a Township boarding school, a 1-2 hour drive from the village. In 2016 we continued training of 22 Community Health Educators, who teach nomad families how to have safe childbirth at home, recognize danger signs requiring hospitalization, and how important it is to have regular prenatal checkups with the midwife at our clinic. We also were able to get a water well dug at the clinic, so they now have a source of clean water without having to carry it from miles away. Also, we brought funds to put a new roof on the clinic and get the water-damaged interior repaired. Every year we are able to make such significant progress! Help us continue to improve health and education in this Tibetan nomad community. We have a team returning to Rima every summer to expand our community health and immunization program, teach safer childbirth, and distribute clean birthing kits to all 7 villages in the township.